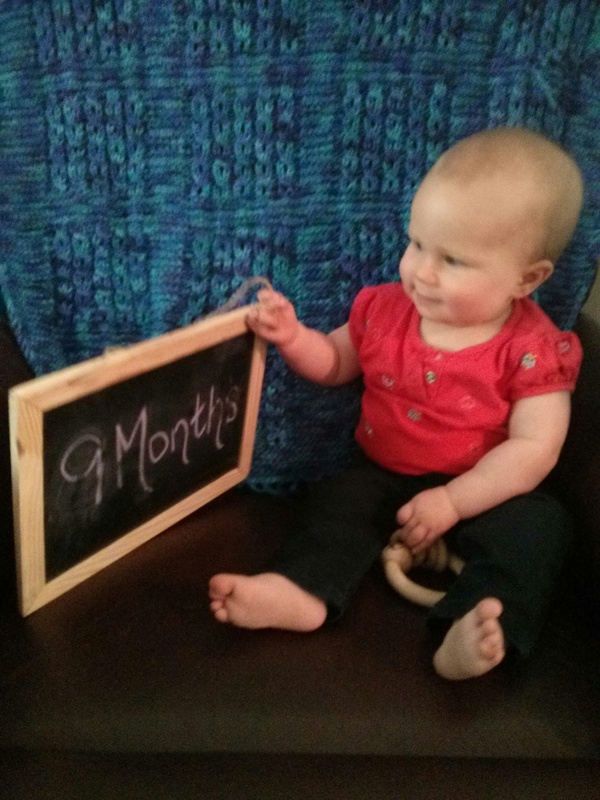 Annabelle Rose: Month 9 | Team Alzen! Dislikes when a parent walks by without picking her up, being left with a non-parent, and men with beards. AB can officially crawl! She went from the army crawl to full-on crawling in less than two weeks. She’s also started standing up while holding on to furniture. When at the airport on our recent trip to Florida for a family wedding, she figured out how to wave and the wonderful reaction that gets her from all the big people. She is a great joy and delight and generally an easy baby. She is unhappy when given to “strangers”, but tends to be just fine within a few minutes. Sleep is going better, which is good for her dissertating mama. Our big goal for the next month is to attempt to move back her wake up time so I can get work done before she gets up and still get decent sleep of my own!